“In a changing landscape, there will always be winners and losers.” Prof Muthama Muasya. In the Overberg, this is no exception. In the last 50 to 100 years, the habitat here has transformed – with 95% of inland-lowland habitats being converted for agriculture. THAT MEANS THAT ONLY AROUND 5% OF THE ORIGINAL NATURAL VEGETATION CAN STILL BE FOUND HERE. In the Overberg wheat-belt, an Important Bird Area (as defined by Birdlife SA), there are birds that have benefited from this landscape conversion. But there are others who are facing extinction as a result of this change. 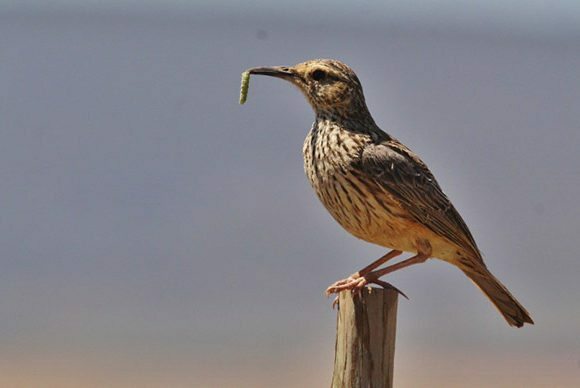 The losers are those birds that depend on the natural renosterveld patches, and hardly use the transformed areas. 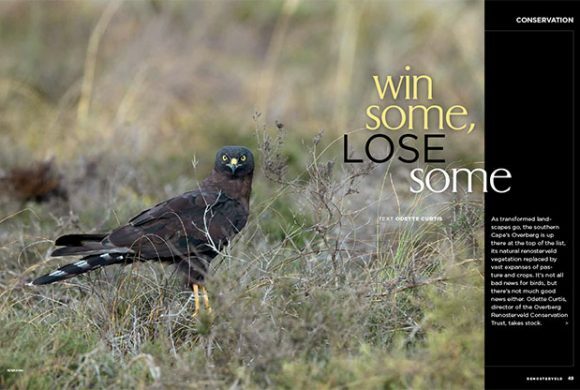 The Black Harrier, an endemic and endangered raptor with a population of less than 2000 individuals, tops the list of losers. 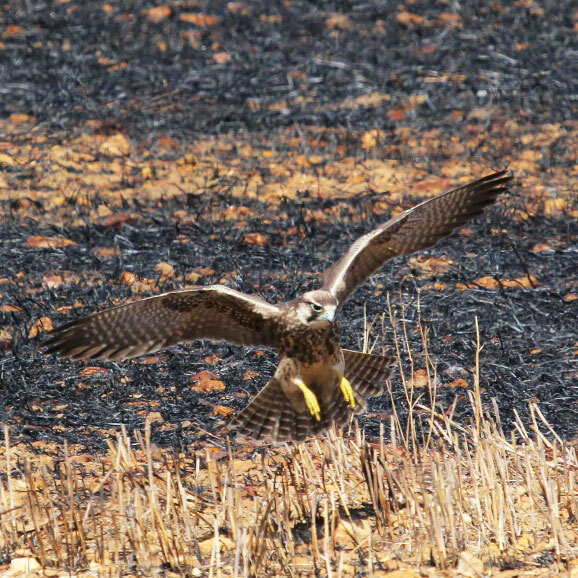 Research shows us that Black Harriers breed only in the largest and most connected pieces of renosterveld – building their ground nests to raise their young here. The Southern Black Korhaan’s population has plummeted in the Overberg in the last decade. These shy birds are completely dependent on renosterveld remnants within the wheat-belt for both foraging and breeding. In days gone by, Cape Vultures soared over natural habitats that were home to an abundance of natural game. That’s no longer the case. And today, only one colony of Cape Vultures can be found in the Western Cape, at Potberg within the De Hoop Nature Reserve. But this population is thriving, thanks to the goodwill of farmers here who ‘feed’ vultures by leaving carcasses out for them. These two endemic game birds have surely seen local populations decline as a result of habitat loss. 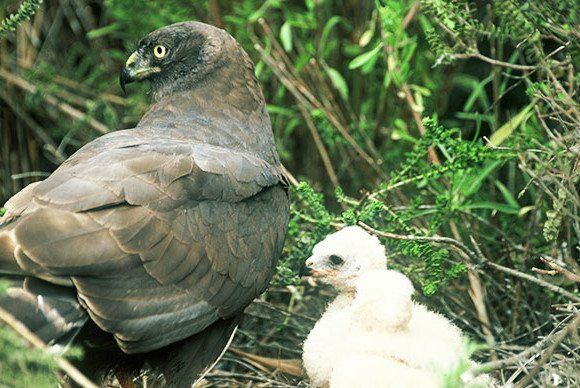 Like the Black Harrier, they are dependent on renosterveld shrublands for breeding. 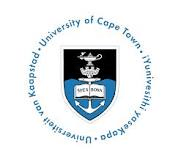 They also make use of the cover provided by renosterveld plants, which helps them avoid predators. 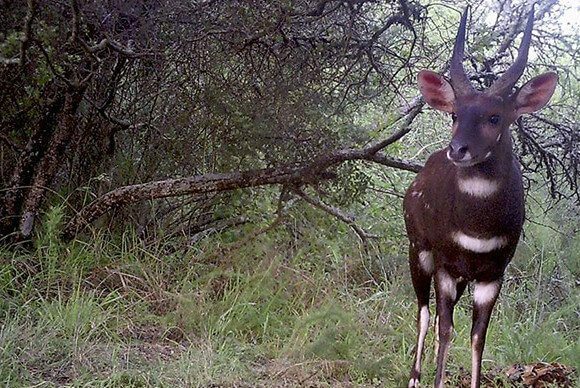 While they do forage in croplands, renosterveld bulbs are a tasty food source for them. The Malachite and Southern Double-collared Sunbirds feed from flowers found in the renosterveld remnants, like the Mauve Honey-bell Bush (Freylinia undulata). 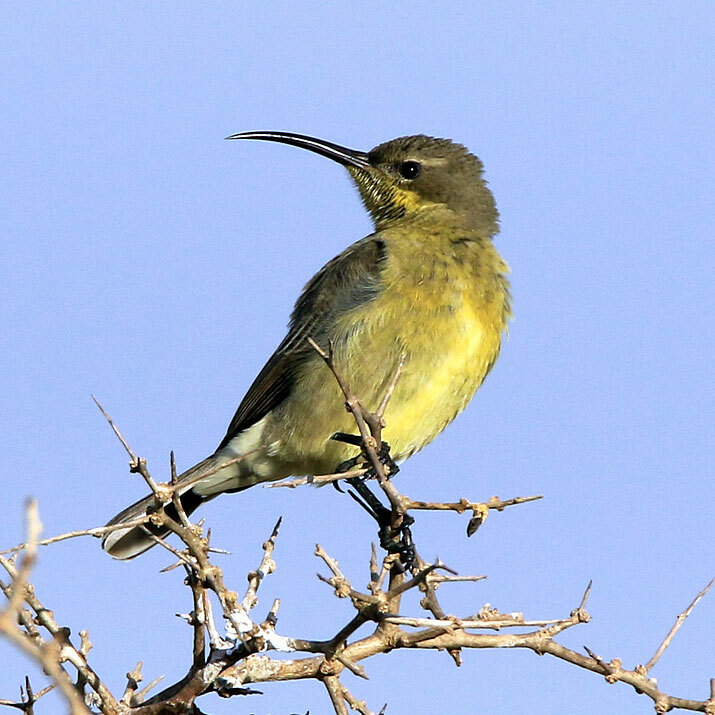 These and other sunbirds also pollinate flowers like the Microlomas (the Wax-Creepers or Bokorinkies) in a unique way: the pollen sacs attach to the birds’ tongues, and are then transferred to other plants by the feeding birds. Species such as the Karoo Scrub-Robin (one of the most common birds in renosterveld), Cape Grassbird, Yellow Canary, White-throated Canary, Karoo Prinia, Grey-backed Cisticola, Cape Bunting, and several others make very little, if any, use of agricultural landscapes, and are completely dependent on natural vegetation. 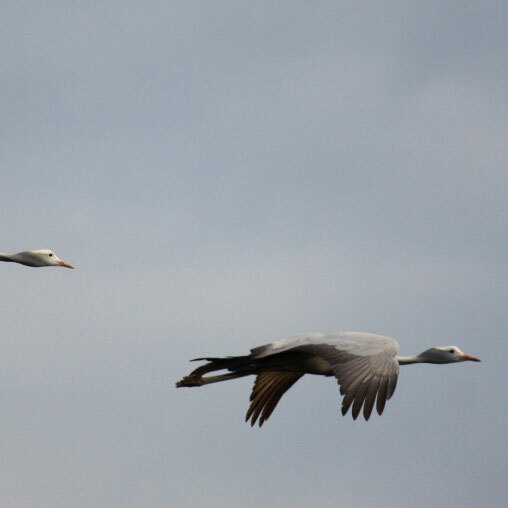 The ‘winners’ are those birds that have managed to move into new areas naturally, and/or species that have seen their population sizes grow as a result of the changed landscape. 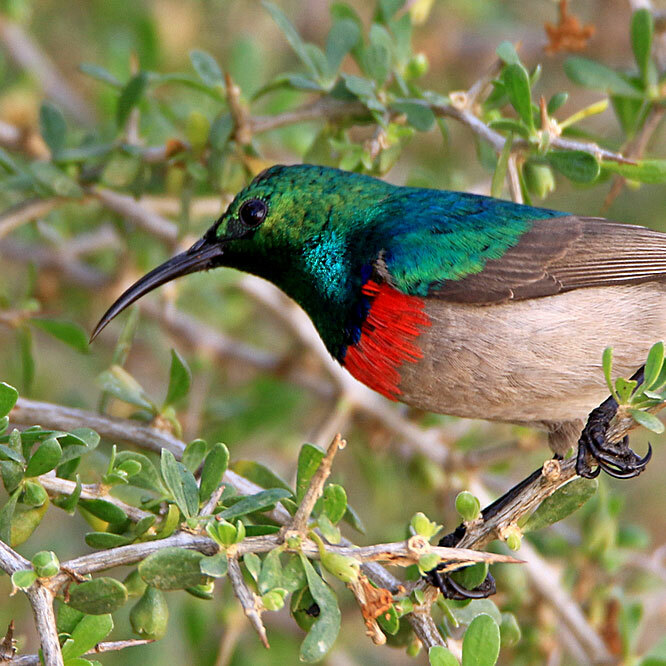 South Africa’s national bird has suffered habitat loss in its natural grasslands and Karoo habitats. 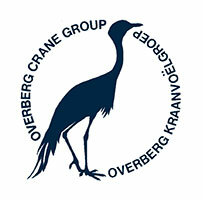 So more than half the Blue Crane population can now be seen in the Overberg – where they make use of the croplands and artificial pastures to breed and forage in. 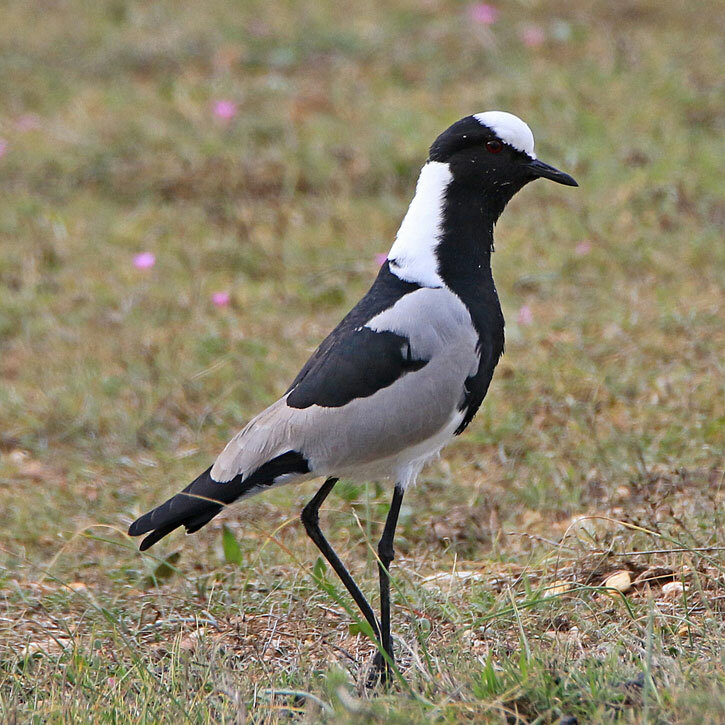 This striking bird makes use of croplands at certain times – in particular in pastures and cropped lands. And it’s believed their population size has increased in these modified landscapes in the Western Cape. 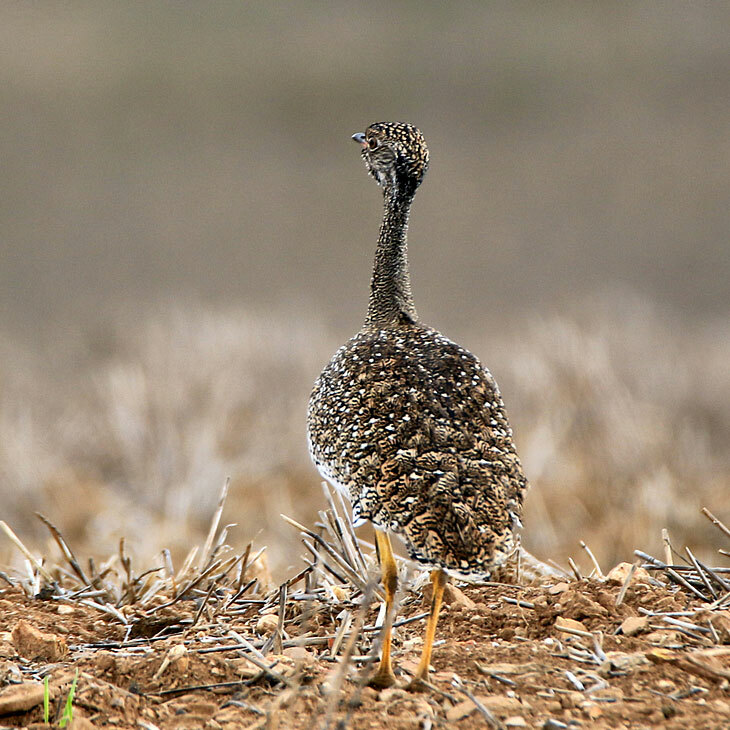 Still, Denham’s Bustards favour natural fynbos and renosterveld habitats during the breeding season. The Secretarybird may be of conservation concern. 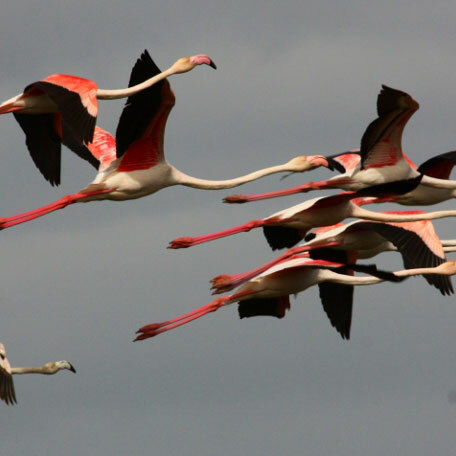 Yet they have adapted to man-altered environments in the Overberg. They are known to forage in croplands, and have even been seen to breed on top of alien trees occasionally. 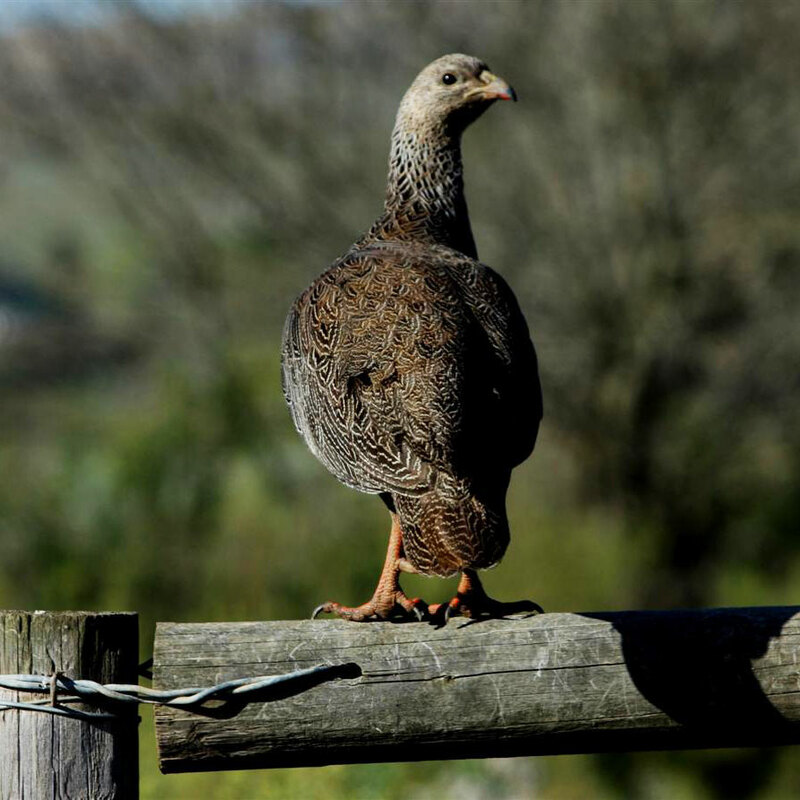 Unlike the Southern Black Korhaan, the Karoo Korhaan has adapted to agricultural habitats. As a result, it can now be seen in the Overberg and even into the Agulhas Plain – especially in the eastern parts of the wheat-belt. 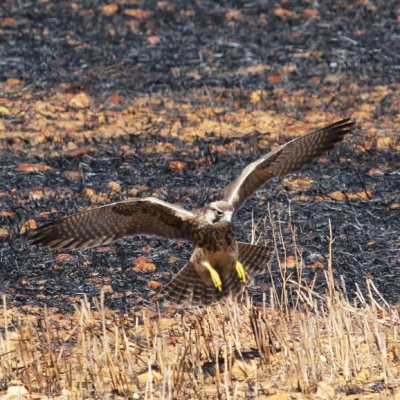 Many raptors, like the Steppe and Jackal Buzzards, Spotted Eagle-Owls and scavengers like the Yellow-billed Kites make good use of croplands. The pursuit-hunting Lanners and Peregrine Falcons also take advantage of the high numbers of Speckled (Rock) Pigeons in open cropped lands. 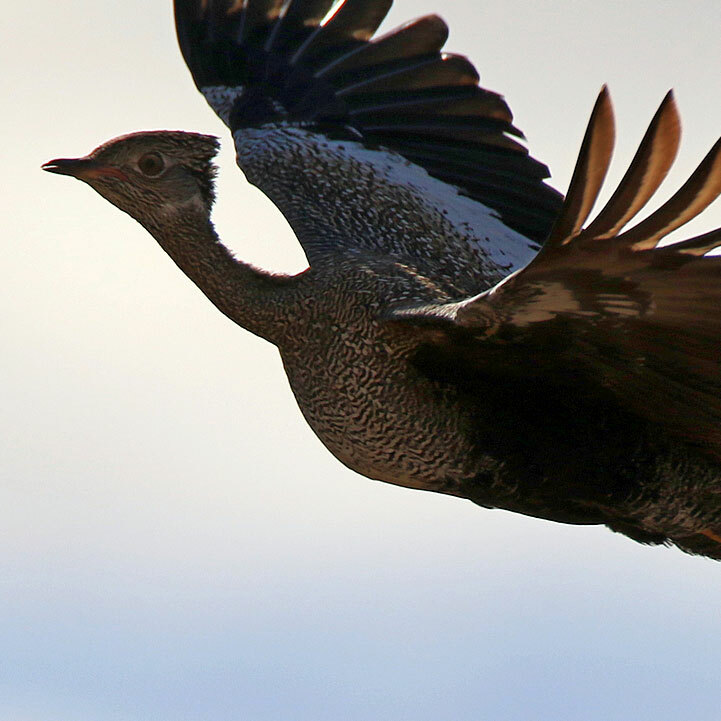 Habitat transformation or access to farm dams has lured species such as the Helmeted Guineafowl, Spurwing Geese, Egyptian Geese and Hadeda Ibis to the landscape. 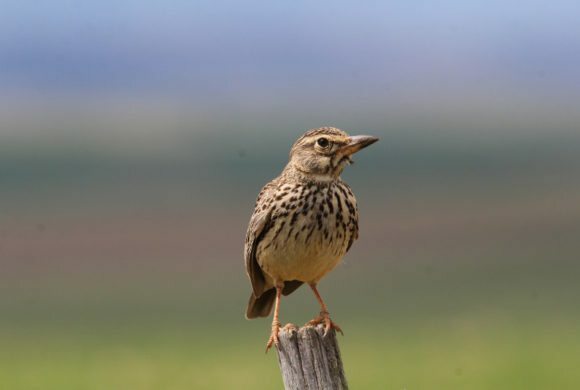 Smaller species like the Capped Wheatear, Common Stonechat, African Pipit, Cape Longclaw, Cloud Cisticola, Zitting Cisticola, Common Quail, Large-billed Lark and Red-capped Lark have also thrived in these ‘new’ habitats. As transformed landscapes go, the southern Cape’s Overberg is up there at the top of the list, its natural renosterveld vegetation replaced by vast expanses of pasture and crops. It’s not all bad news for birds, but there’s not much good news either. 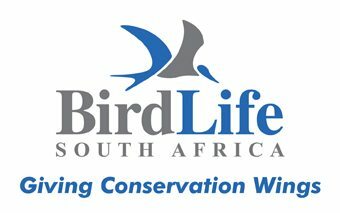 The “Flight for Birders” bird identification and conservation course by Dr Anton Odendal will be presented at Bosheuwel, Agulhas National Park on 11 & 12 May 2017. 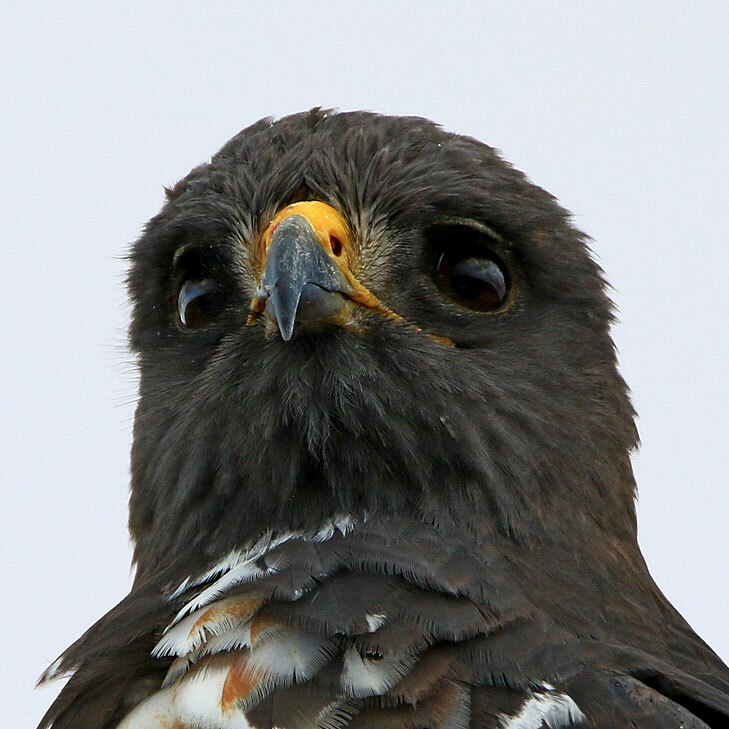 The Black Harrier is one of Southern Africa’s most beautiful and charismatic birds of prey. It a graceful, medium sized charcoal-coloured bird with striking white markings, piercing yellow eyes and a long barred tail. 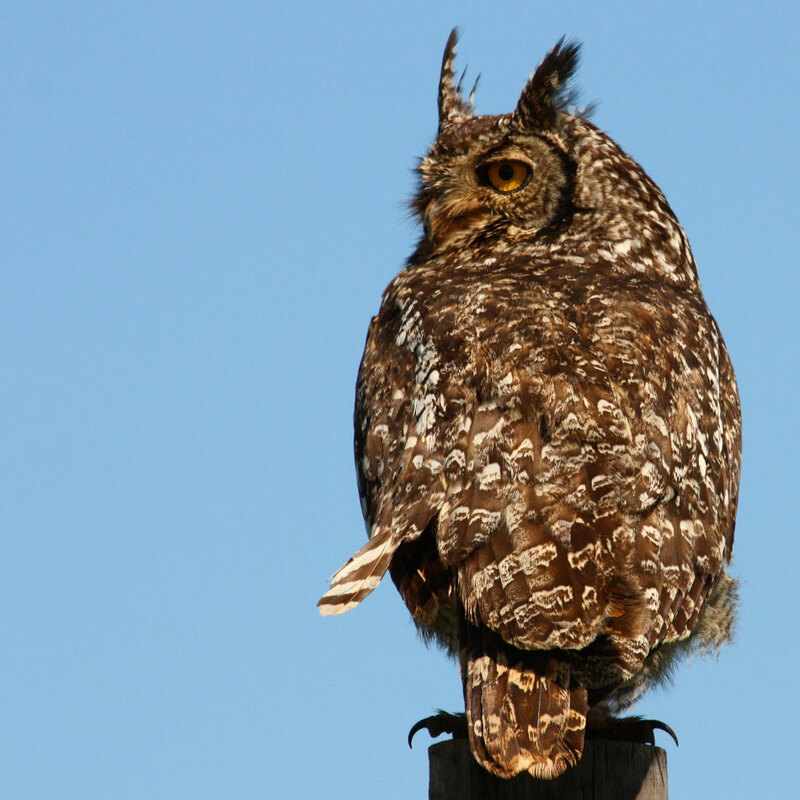 You’ll see any one of 150 birds on our Haarwegskloof Reserve – like the Endangered Black Harrier, the Cape Long-billed Lark and the Endangered Cape Vulture. 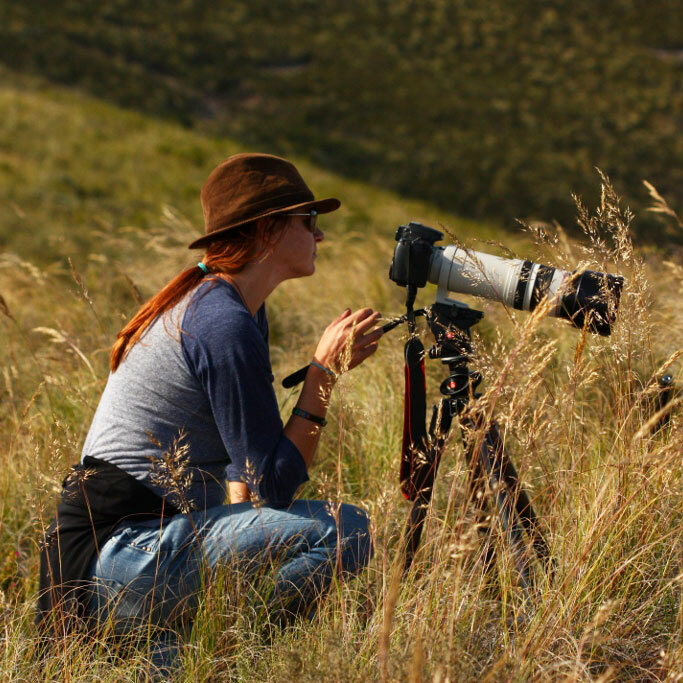 It’s not only a Renosterveld haven – it’s a great birding spot. 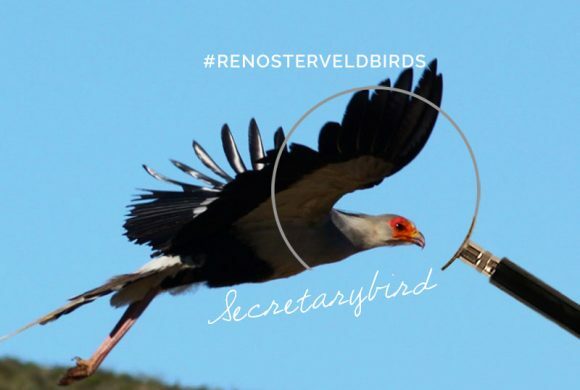 The Overberg Renosterveld Conservation Trust would like to thank the following individuals and organizations for helping to protect the birds of the Renosterveld.